The New York to Philadelphia and Amish Country day trip allows you to explore the extremes: a busy historic city and a beautiful countryside. On this guided tour you’ll be able to see the Liberty Bell, the Rocky Steps and then unwind on a ride with an Amish buggy. It’s perfect if you want to explore more of the East Coast when visiting New York. Early in the morning you will leave the rush of New York behind and drive to Philadelphia through New Jersey and Pennsylvania. 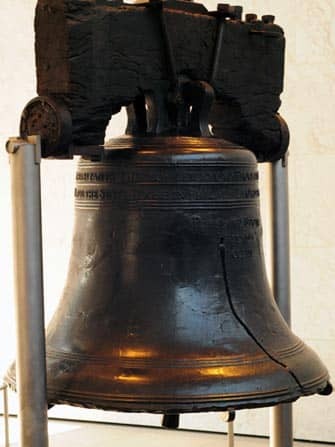 Your tour will include visiting the Elfreth’s Alley (the oldest inhabited street in the United States), the Benjamin Franklin Parkway and of course the famous Liberty Bell and Independence Hall and Square. 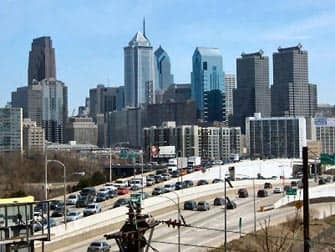 When you arrive in Philadelphia you will have the opportunity to have lunch. I’d try and find a place where they sell Philly cheese steaks! On this trip you will undoubtedly learn about the history of America from the knowledgeable guide and how the country declared itself free from Great Britain. Most of the attractions that you will visit have become important symbols of liberty in America and as such are incredible popular. You simply cannot finish your holiday without having visited these sites! Before heading towards Lancaster County to visit the Amish, you can test your stamina and run up (and down!) 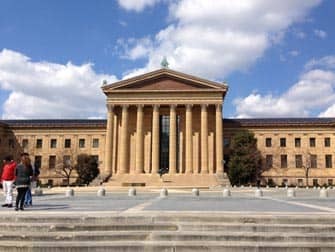 the famous “Rocky Steps” in front of the Philadelphia Museum of Art. Lastly, a favourite of all visitors – you can pose in front of the bronze statue of Rocky for a memorable snapshot. 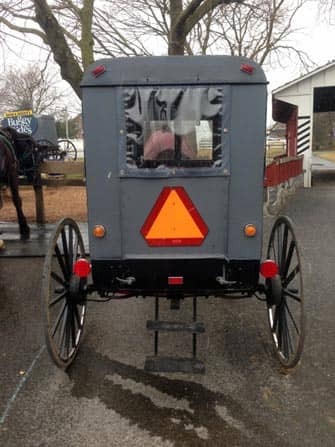 In Lancaster County you will be able to take a ride on an authentic Amish buggy. Here you can learn about the Amish way of living and ask questions about what it is like to live without a telephone and how the Amish keep themselves busy every day. You might be surprised by the answers! You can enjoy homemade lemonade, cookies or root beer, made locally. Afterwards you’ll head to the quaint Kitchen Kettle Village where you’ll have ample time to visit the stores and restaurants. Eric’s Tip: This is a bus trip so you’ll be travelling in a bus for the most part of the day. 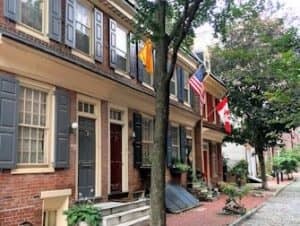 In Philadelphia you will not have a lot of free time so you can’t explore the city on your own, but together with the guide you’ll be able to see a lot in a short amount of time. With this trip you shouldn’t expect to be in close contact with the local people, but it’s a nice way to get to know the Amish lifestyle. And you should definitely taste some of the Amish homemade lemonade and cookies!